The Bank of England's Mark Carney agrees to extend his period as governor by six months until January 2020 to help out in the initial phases of Britain's exit from the European Union. The Bank of England's Mark Carney agreed Tuesday to extend his period as governor by six months until January 2020 to help out in the initial phases of Britain's exit from the European Union. The announcement from the government and the bank was expected after Carney told lawmakers last week that he was "willing" to extend his tenure beyond his scheduled June 2019 departure. Britain is due to leave the EU in March 2019 but there is uncertainty as to how it will depart. Though the extension is shorter than expected — most were predicting Carney would carry on for another year — the decision helps reduce one of the immediate uncertainties surrounding Brexit. "I recognize that during this critical period, it is important that everyone does everything they can to support a smooth and successful Brexit," Carney said in a statement. "Accordingly, I am willing to do whatever I can in order to promote both a successful Brexit and an effective transition at the Bank of England and I can confirm that I would be honoured to extend my term to January 2020." Carney, who is Canadian and is reportedly interested in returning to politics back home, won plaudits for helping to calm financial markets in the wake of Britain's vote in June 2016 to leave the EU. 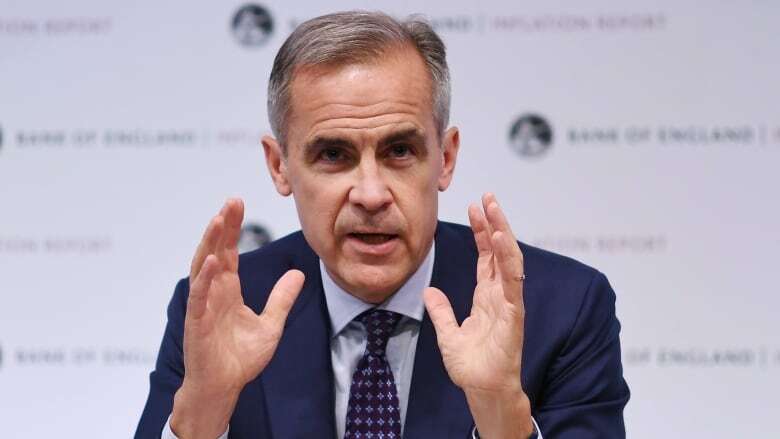 Backers of Brexit, however, have accused Carney of taking sides during the Brexit referendum campaign, of being a leading proponent of so-called Project Fear when warning of the economic consequences of a vote to leave. Britain's Treasury chief Philip Hammond, following discussions with Prime Minister Theresa May, appears to have approved of Carney's performance so far and will be hoping that the governor will be able to do the same in coming months "to support a smooth exit." Carney became in July 2013 the first non-Briton to take the top job at the Bank of England for an initial five-year term. He extended it by a further year in the aftermath of the Brexit vote. In addition, the Treasury announced that Jon Cunliffe was reappointed for a second five-year term as deputy governor responsible for issues relating to financial stability.